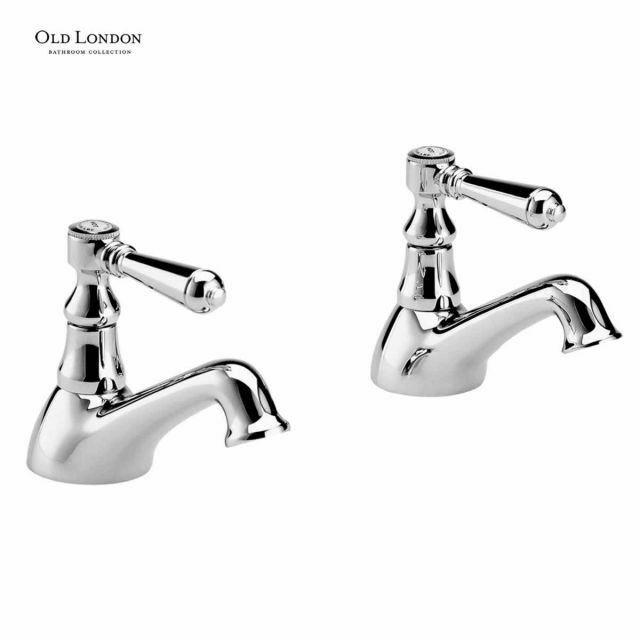 The bathtub was the centrepiece of the Victorian bathroom, and for those wishing to recreate the sophisticated interiors of that period, these taps are fitting addition. 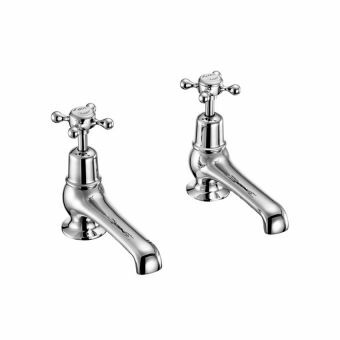 Designed to be fitted to a bathtub with two deck-mounted holes, these taps are in perfect keeping with the design ethos of the traditional interior. 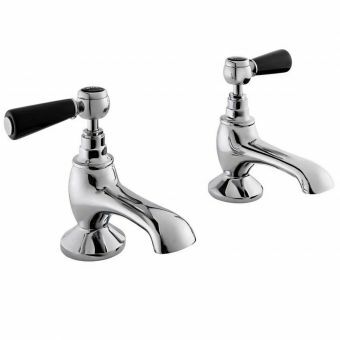 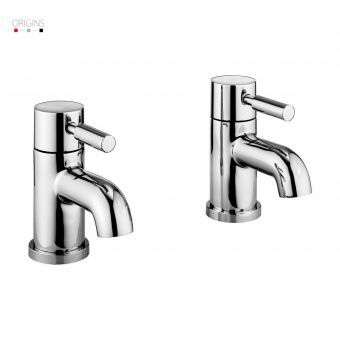 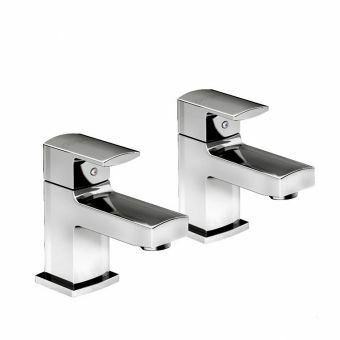 Featuring a flowing, fluid design, these taps are finished off either with a single lever, or with cross-headed handles as required. 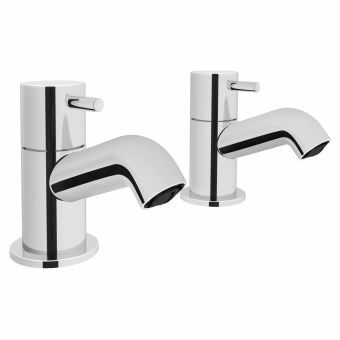 Each set has white ceramic details on the inlay, with black text indicating hot and cold outlets in the period style. 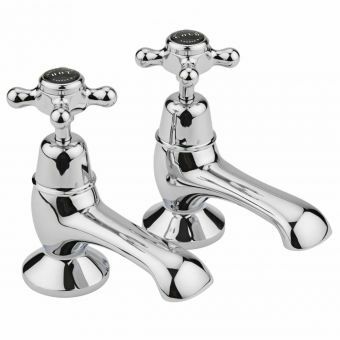 A high polish chrome finish gives them a fresh, modern edge, while remaining easy to clean and maintain. 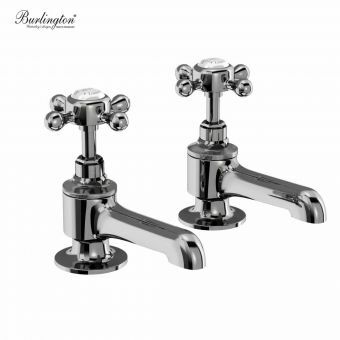 These taps are suitable for use with low pressure plumbing systems.